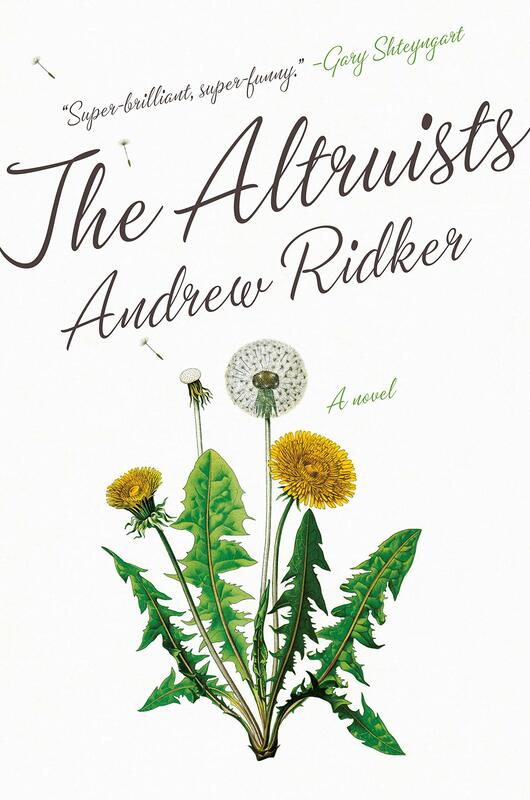 Andrew Ridker’s first novel, The Altruists (308 pages; Viking), follows a middle-class family, the Alters, as they struggle with the impact of unexpected wealth. Ridker is merciless in skewering each member of the family, and nearly every aspect of modern culture, from campus identity politics and the queer dating scene to poorly planned foreign aid missions. The novel’s wickedly dark sense of humor combines with a complex plot to create a compelling debut. The story centers around Arthur Alter, a rapidly aging, untenured professor at a middling St. Louis university who is close to defaulting on the mortgage for his family’s home. Desperate, he invites his two estranged adult children, Ethan and Maggie, to visit even though they haven’t spoken since their mother, Francine, died of breast cancer two years prior. The day before Francine’s diagnosis, Arthur initiated an affair with a much younger colleague, causing his wife to write him out of her will and instead leave the entirety of a mysteriously-acquired fortune to their children. Arthur naively hopes that, upon reconciliation, his children will gladly pay off his mortgage and save their childhood home, but he fails to anticipate the depth of their resentment or their troubled relationship with their newfound wealth. Ethan and Maggie’s treatments of their inheritance reflect their naturally opposed personalities. Idealistic, ineffective Maggie has convinced herself she is going to “renounce” the money and donate it to charity, although two years after receiving it she has still failed to do so. She instead chooses to leave it untouched and live a life of relative poverty, performing odd jobs in her neighborhood while restricting her eating habits out of grief. Ethan, on the other hand, is deep in debt and has frittered his portion away on apartment renovations, expensive housewares, and a variety of delivery services. Due to his excessive spending, he has gained the freedom to become a recluse in his Brooklyn apartment, rarely leaving for any reason. Arthur’s invitation provides the stimulus both need to make meaningful changes in their stalled lives, but also forces them to grapple with the question of what it actually means to live a “good” life and how to be recognized as doing just that. It is this idea of creating a meaningful legacy that preoccupies each member of the Alters. Although they purport to be altruists, they are blocked from acting in a truly selfless manner by their desire to be perceived as good by others. Ridker ultimately suggests that for them to overcome this deep-rooted limitation they (and by extension, us) must renounce any grandiose ideas of the self. What constitutes the “good” life could be just living simply and, perhaps most difficult of all, forgiving those who do not deserve forgiveness. 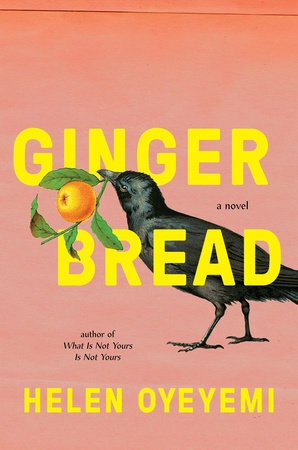 Helen Oyeyemi’s latest novel Gingerbread (258 pages; Riverhead), revolves around the fictional country of Druhástrana, an “alleged nation state of indeterminable geographic location” that may or may not exist, depending on who you ask. Druhá Strana roughly translates from Slovak to “the other side” or “the flipside,” a fitting name for a nation that bears more resemblance to a half-remembered fever dream than any currently existing country. Gingerbread mirrors the ever-shifting nature of Druhástrana in many ways, with its circular and occasionally conflicting narratives leaving the reader frantically performing mental gymnastics in order to keep up. 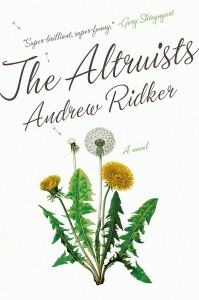 The novel focuses on a family of Druhástranian expatriates who bake obscene quantities of gingerbread daily: Margot Lee, a doting grandmother and preternaturally talented interior designer; her daughter Harriet, who is consumed by her quest to find her childhood best friend, distant cousin, and alleged fairy-changeling Gretel Kercheval; and Harriet’s teenage daughter Perdita, who cannot indulge in her family’s signature pastry because she was born with celiac disease. Created by a distant ancestor on Harriet’s father’s side as a way to eke any remaining nutritional value out of spoiled rye, the gingerbread is revered by some and intolerable to others. It plays many roles throughout the book: as the only known method of transportation to or from Druhástrana, as the building material for an impossible-to-locate house where an improbable reunion is destined to occur, and as a way for Harriet to win over the cliquish Parental Power Association (PPA) at Perdita’s school. The Lee women refuse to sell their gingerbread, instead using it as a way to extort “information, goodwill, and … compliance.” In doing so, Oyeyemi has transformed a traditional symbol of domestic femininity into a potent tool and weapon that all three Lee women yield indiscriminately. The majority of the book is comprised of Harriet relating her childhood and adolescence in Druhástrana to Perdita after Perdita attempts suicide by way of gingerbread in an extremely desperate effort to travel to her family’s homeland. As Harriet describes her life in Druhástrana, it becomes clear she possesses “the kind of past that makes the present dubious.” She reveals to Perdita that she grew up on an impoverished, isolated farm in the Druhástranian countryside, reading the collected works of Émile Zola and baking gingerbread. After a series of improbable events, the Lee family gingerbread attracts the attention of Gretel’s mother, who then recruits Harriet to work at a gingerbread theme park run exclusively by other farm girls. Harriet’s history starts to spiral from there, and is frequently interrupted by asides from Perdita’s life-size (and apparently self-aware) dolls. These sorts of fantastical moments are common, with the narrator explaining that “talking or thinking about ‘there’ lends ‘here’ a hallucinatory quality that [Harriet] could frankly do without.” This tendency toward the surreal is heightened whenever the characters squint too hard at what it means to be Druhástranian in the outside world. Harriet obsessively searches the Internet for traces of Druhástrana, perhaps in an effort to confirm that her own lived experience did in fact occur. The majority of the articles she finds are translated by Drahomira Maszkeradi, a woman who later becomes the Lee’s realtor as Harriet searches for one of the three houses where she promised to meet her cousin Gretel once she had left Druhástrana and grown up. It’s unclear whether Harriet ever makes the connection that the woman who is trying to help her fulfill her doomed quest is the same woman who has provided all of her knowledge of Druhástrana since leaving. As Maszkeradi skirts the Lee women’s attempts to pin down her origins, Oyeyemi hints at the answer to a larger question: what does it mean to live in a world that denies your very existence? In Maryse Meijer’s new collection, Rag (144 pages; FSG), the final and eponymous story is written from the point of view of a rag stuffed down a woman’s throat, slowly killing her. Reading Rag feels a bit like this, as the fourteen unsettling stories leave you gasping for air. With terse, dark prose, Meijer has created a cohesive set of stories which seem to delight in exploring taboos and destroying expectations. These stories are unsettlingly honest, with the most twisted inner thoughts of each principal character laid bare for the reader. Rag is at its strongest when delving into the minds of its uniformly flawed narrators, which include a college student living in self-imposed isolation, a high school teacher consumed by an unhealthy obsession with his student, and a pizza shop worker who develops feelings for a woman who has a miscarriage in his store’s public bathroom. Twelve of the fourteen narrators are male, allowing Meijer to explore their varyingly warped perceptions of women. In deconstructing the many forms of the male gaze, she grants insight into the roots of each character’s neuroses and fixations, skewering the most extreme manifestations of toxic masculinity. 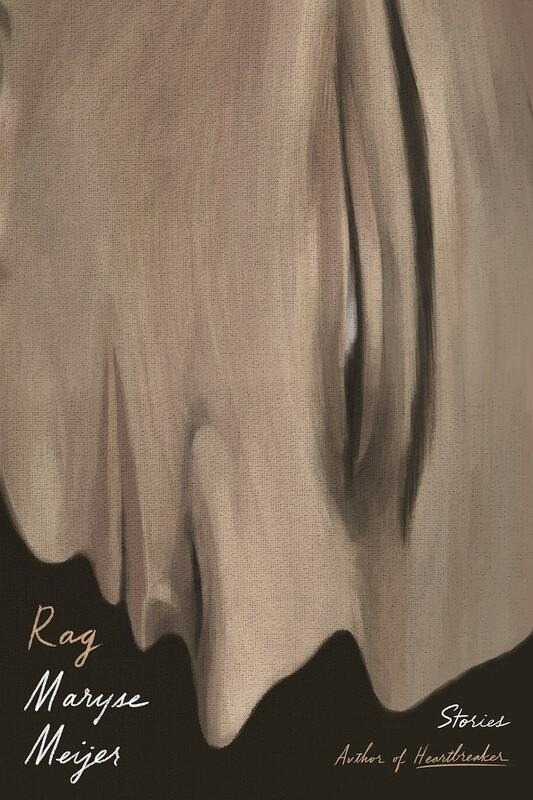 The haunting, beautifully horrific stories in Rag linger long after finishing the collection, and subtly answer almost as many questions as they raise about what it means to interact with and be a man in the modern world. One of two epigraphs for Kristen Tracy’s debut collection of poetry, Half-Hazard (94 pages; Graywolf Press), advises that, “when a bear attacks, the victim who fights back is likely to fare better than the one who plays dead.” Although this is useful information to have in case of a rogue bear attack, it’s not as helpful when considering how to read the stunning assortment of poems included in the book. Readers might be better served if, rather than attempting to fight the sweeping flow of Tracy’s fantastic lines and vivid imagery, they “play dead” and allow it to wash over them. Tracy, who is also a prolific author of many young adult novels, brings her understanding of the youthful psyche to the page as she describes her experiences growing up in a Mormon farming community and explores themes of loss, sexuality, and leaving home in sharp, playful verse. The winner of 2018 Emily Dickinson First Book Award, Half-Hazard practically overflows with a diverse array of animals, including bears. Recently, Tracy, whose poems were published in ZYZZYVA No. 112, spoke to us about the writing process, family history, and interspecies seabird warfare. ZYZZYVA: A zoo’s worth of animals appear throughout your poems in Half-Hazard— tigers, lions, and bears (oh my!) pop up within the first few pages. What draws you to animals, and do you have a favorite? KRISTEN TRACY: I grew up in a small Mormon farming community near Yellowstone Park. Animals were everywhere, even in the nightly news where reports of bear attacks and buffalo gorings dominated the summer news cycle. So I’ve been captivated by animals since my childhood. Bears are probably my favorite animal. A few years ago I went to Transylvania and toured a bear preserve with my three-year-old, and I kept enthusiastically pointing to all the bears and he finally said, “Let’s go home. This place is boring.” So I pointed out more bears and he said, “Mom, those bears are boring.” And so I fear bear adoration is not a hereditary trait. Z: Two of your poems, “Goodbye, Idaho” and “Taming the Dog,” appeared in ZYZZYVA Issue 112. “Goodbye, Idaho” and many other poems in the collection are very grounded in place, ranging from San Francisco to Alaska to the moon. Where do you consider home? Z: There were so many lines in the collection that made me laugh out loud. How do you balance humor and disaster in your work? KT: So I have a sad backstory. I’ve lost both a brother and a sister in separate car accidents. My family was overwhelmed by grief, and I realized that somebody had to be funny. So at seven I became the funny one. I basically view it as my job. And as I got older and became a writer, I started writing funny things. My children’s books are funny. I like making people laugh, so now I have my poetry do some mood-lifting work. I think that suffering those twin losses altered my lens on how I see the world. I notice tragedy, accidents, disaster. But I don’t want my readers to sit in sadness. I want everybody to be okay. Z: You mention volunteering as a gardener on Alcatraz. What was that experience like, and what was the most surprising thing you learned? KT: I spent several years volunteering as a gardener on Alcatraz, where I learned a tremendous amount about seabirds, particularly sea gulls, because they are brutal beasts who will destroy anything. I once watched a group of seagulls tear a line of goslings apart in front of stunned tourists who pleaded with me to stop the carnage. I wasn’t allowed to intervene, because one of the first rules I learned on Alcatraz was that when it came to the birds I wasn’t allowed to get involved in interspecies conflict. The savagery overwhelmed me. I didn’t realize I’d witness so much bird-on-bird violence. But I loved working to restore the gardens, and if I ever live close enough to the island I’d go back and garden there again. Z: When did you start writing, and what led you to poetry? KT: I didn’t start writing poetry until I was in college. I decided my best chance of escaping my tiny Mormon upbringing was to apply to a school far away from it. So I only applied to one college, Loyola Marymount University, and that’s where I went. My freshman year I became good friends with a rebellious Jehovah’s Witness who suggested I take a poetry class with her. I did, and my teacher, Gail Wronsky, really encouraged me and told me I had real talent. I didn’t get a lot of exposure to art growing up, or encouragement. So I really clung to this. Following a path in the arts became a way to rebel against my faith system. I spent years reprogramming myself to value something other than the Mormon belief system I’d been fed as a child. Studying and writing poetry really helped me form my identity. Z: You also write books for young readers. What books influenced you the most growing up? KT: I wish I’d read better books growing up. My library had a bunch of Disney books in it. Stone Soup retold as Button Soup with Daisy Duck. So I read a lot of folk tales, but they had Chip and Dale in them. Lots of Bible stories. Lots of Book of Mormon stories. I didn’t become a big reader until college. Z: In your acknowledgments, you mention that Half Hazard has been in the works for almost two decades. What kept you going, and what was your revision process like? KT: I can’t believe it took twenty years for this book to exist. It was all the small encouraging accomplishments along the way that motivated me to keep at it. I’d place poems in journals I truly loved. I’d win fellowships to conferences. I’d been a finalist for the Yale Younger Poet Prize and a semifinalist for the Walt Whitman Award and Sarabande Books Kathryn Morton Prize. So I figured if I kept writing poems, eventually luck would find me. And it did! 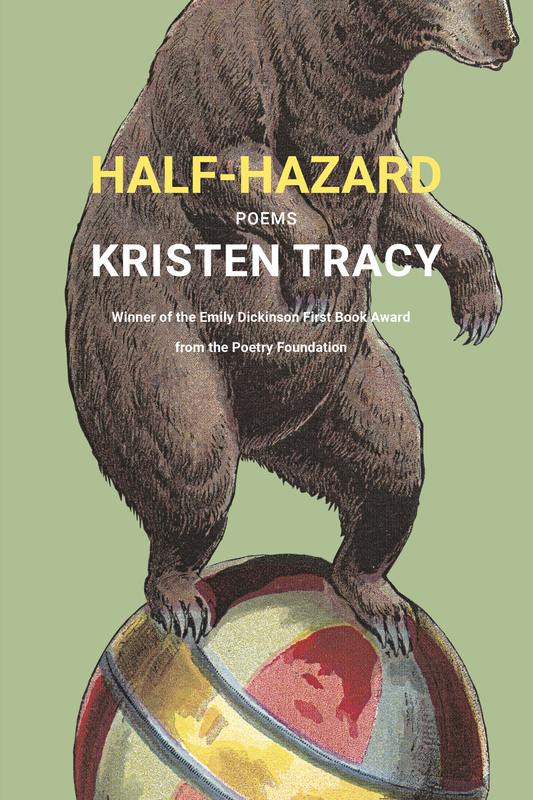 Z: Half-Hazard is your first book of poetry. What has the experience of publication been like for you, and are you working on a second? KT: I’ve never felt so thrilled or vulnerable. Working with Graywolf has been amazing. And everybody at the Poetry Foundation has been so supportive and kind. I’m definitely working on a second book. I’m revising a poem about the propane company right now. Read Kristen Tracy’s poetry in ZYZZYVA Issue 112, which you can order from our Shop page. 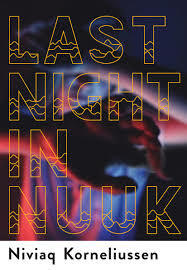 Niviaq Korneliussen’s first novel, Last Night in Nuuk (288 pages; Grove Press), is first and foremost a character study. (In an immediate indicator that the book is primarily driven by its multiple protagonists, it opens with a literal “Cast of Characters.”) Korneliussen, who is from Greenland, explores in distinct sections the perspectives of five different people and in the process shows us what it means to be young and queer in her homeland. The characters are all handled tenderly and with obvious care, and each stream of consciousness narrative can stand alone but fit neatly into this larger work. Living in Greenland’s largest city, the capital of Nuuk (population 17,000), Korneliussen’s characters run into each other by chance and by design throughout their tiny remote community, ratcheting tensions while simulatenously creating a sense of crushing isolation and stifling familiarity. Over the course of his chapter, Inuk’s definition of the Greenlandic identity expands and changes significantly, perhaps serving as the most explicit representation of the conflicted feelings of the rest of the main characters—student Fia, journalist Arnaq, and partners Ivik and Sara—toward their country as it grapples with rampant addiction and abuse. For a book so focused on character, it is somewhat disappointing that the protagonists’ voices can blur together at times, with Inuk’s being the exception. Thankfully, the propulsive nature of each individual’s narrative—urgent, tense, and full of intentional rough edges that allow emotions to shine through—largely compensates for this. With Last Night in Nuuk, Korneliussen has crafted a convincing, nuanced depiction of what it feels like to be young and out of control while allowing us to inhabit a world that has been infrequently, if ever, presented to American readers.